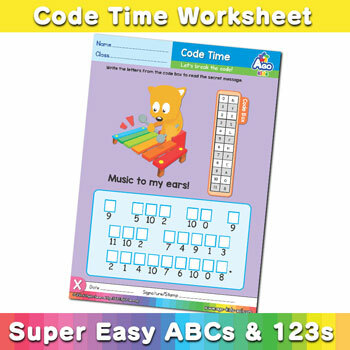 Get the super popular worksheets called Code Time to help students learn the alphabet by decoding secret messages. Have students say the letters out loud as they solve the fun puzzles, and then practice saying the messages for reading and phonics practice. Available in both uppercase and lowercase versions, they’re sure to be a classroom hit!